You must make reservations at least 5 minutes in advance of the time at Beau Monde. L'Etage is a floor above Beau Monde where we host monthly cabarets as well as weekly DJ nights on Fridays and Saturdays. The space transforms into a popular night club ideal for drinks and dancing after dinner at Beau Monde. L'Etage also caters events like weddings, graduation celebrations, and holiday parties. 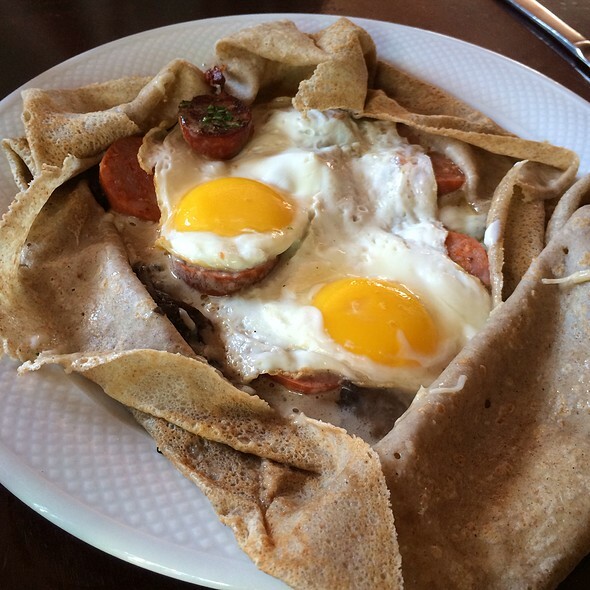 Creperie Beau Monde is a perfect place to have brunch, lunch, dinner and drinks! We specialize in Crepes, but the menu also has plenty of appetizers, soups, and salads. Our romantic atmosphere is accommodating for that special date, your family (kids included), as well as large parties. The versatile menu has a wide range of prices that will agree with any budget. with Brie, Applewood Smoked Bacon, Caramelized Onions, Lettuce, Plum Tomatoes & Garlic Aioli on a Brioche Bun. 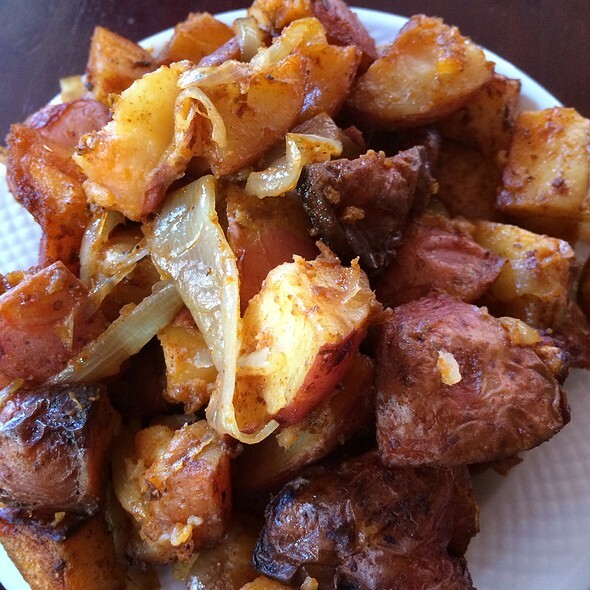 Choose either Warm Potato Salad, Brunch Potatoes, or a Petit Salade Maison on the Side. a Bottle of Sparkling White Wine with OJ on the Side to Make Your Own! 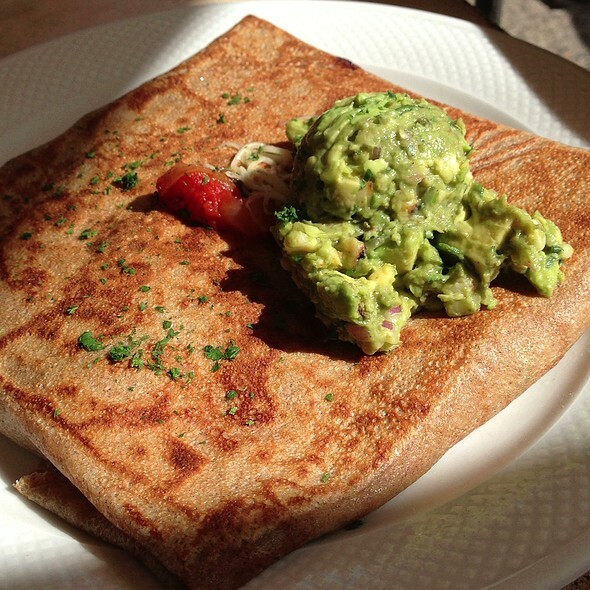 Go for the strawberry, banana, hazelnut crepe. Food was good but not as good as expected. Restaurant wasn't even half full at 1pm on Saturday the service was horrible. Took 30 mins to get drinks and then another 50 minutes to see any food! Was so disappointed - will not be going back. I would recommend to a friend, but here's the deal. We went there for brunch and the food takes a whileeee to come out. If you have the time, great! If you can't stand waiting a while for some food, it might not be for you. We went on a Saturday around noon. The tables were less than a third full, but despite that the food took about an hour to come out. The server was friendly and quick with the drinks, so I can't blame that for the food taking the amount of time it took to cook. Maybe hire an extra cook? 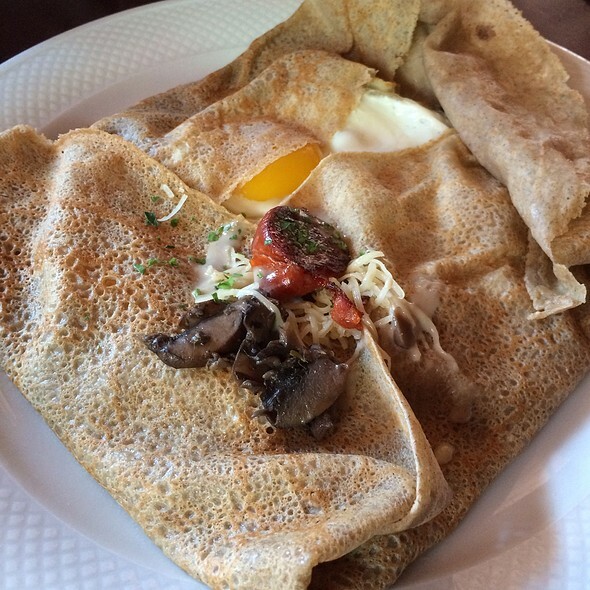 But perhaps the longer time is warranted due to the food quality, because the crepes were excellent. And everything is a reasonable price! If you're going here for weekend brunch, want to get some solid drinks and food, and aren't in a rush, this is the place for you. We always enjoy our time at Beau Monde. It does get loud though, making it difficult to hear one another. Delicious food and great service. We really enjoyed our sweet and savory crepes. As always, great place to share a meal. Get’s a little noisy on weekends, so dinner conversation isn’t as easy as it is during week. Food, service, ambience always a most pleasant experience. 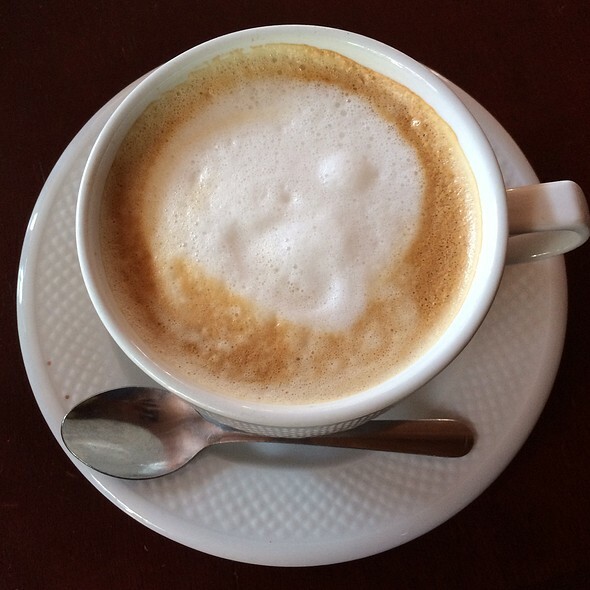 Beau Monde is an ideal restaurant for a business meeting (as well as personal). It creates a feeling of "specialness" that I want to convey to my clients. Scallop crepes were AMAZING. Pate was good. Salad was fine but overpriced. Lobster Bisque was VERY DISAPPOINTING. It tasted like spaghettio's sauce with imitation crabmeat. If that was actually lobster, it was prepared in a way that made it look and taste like surimi (fake crab). $14 was way too much for that, and it left a bad taste in my mouth both literally and figuratively. It was Valentine's Day, so I wonder if they ran out of the real stuff and just found something else to serve for the latter half of the evening. Seating is critical, should have asked for a different seat we were in the middle where everyone seemed to walk by. The seafood crepe was to runny and I just don't think seafood and crepes go well, my fault for picking that. I'm the other hand the drinks were all great. Great crepes! 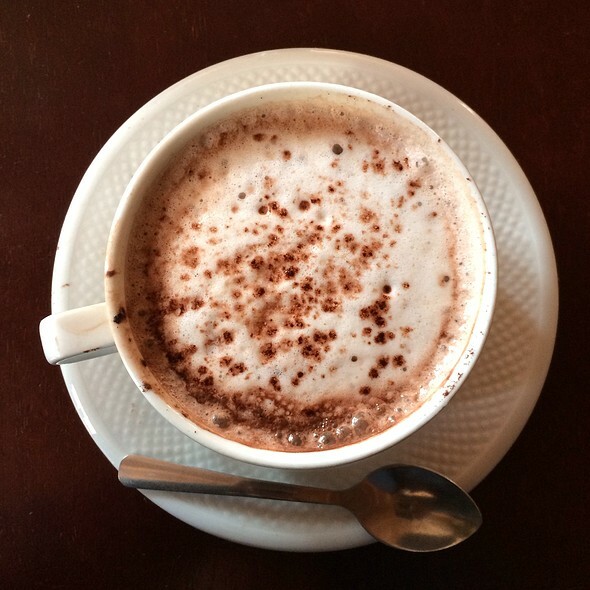 Beau Monde is the perfect place to have dinner for couples or small groups. The service was good and the food pretty good for a reasonable price. Food was delicious! Drinks were yummy too! Loved sitting right near the fireplace! What a cozy, romantic treasure! My husband and wanted to see the cabaret at L'étage on Friday evening and decided to have dinner downstairs first. What divine treat. The friendly host and beautiful fireplace were warm greetings as we entered Beau Monde. Everything was very relaxed, not rushed and delicious! A friend and I went to Beau Monde for brunch and on the sidewalk upon entering the restaurant we were immediately transported to a cafe in Paris. We were no longer in Philadelphia. It was cute, quaint and reminded me of the time I went to Paris a few years ago. A lovely experience and the crepes were amazing. We went as a group of 5 for my daughter's birthday. As always, food was delicious! Two had french onion soup, we shared goat cheese mousse and house salads. Then we each had savory crepes. No complaints from our group. I'm loving the duck breast, Brie and fig crepe; my favorite lately. Alison our server was great! Several of us are trying to learn french and she was patient when we stumbled over the words, and she speaks it fluently! The food and the service were great! I got a sausage and ratatouille crepe with a side of brunch potatoes, delicious! The only downsides are that It gets a noisy during the weekend and it’s a bit pricey. We went with my 6 months old and he did good even with the noise though! Recommended anyway!! I'll start with the positives - the crepes and gelato were excellent. I would come back on that basis alone. However there was a party of around two dozen that filled most of the restaurant, and the wait staff had a hard time serving them along with the rest of the diners. Because the other party had a birthday celebration, the noise level was higher than usual. Took my mom here when she was in town visiting. She loved it. It was something different from the usual fare. We really enjoyed our meal! Love this restaurant. Food is fresh, service is great and the overall experience is perfect. I love Beau Monde. Great for large groups and celebrations. Best crepes in the city. Menu offers a range of fillings that will satisfy the pickiest to the hungriest person. Wait staff is attentive and experienced, and the room feels like it could be tucked into an cozy street anywhere in Paris. Don’t miss the crepes Suzette to finish off your meal. As always, Beau never fails! Great food, great service and wonderful atmosphere. We haven’t been back to Beau Monde in years and it did not disappoint. Crepes were spot on. One of our absolute favorite spots for a date night or relaxing dinner with the family. My wife’s meal was pretty good and my plate was just fair. The inside is very nice and has a darkly lit feel when I went in the evening. Happy to try it out! We went for early dinner, 4:30pm, and they were out of the soup of the day. It would not have been a problem except our server had just told us the Soup de Jour. There was definitely a break down in communication at the restaurant. Don't ask for anything other than what's on the menu. My wife wanted the roasted beet in the roasted salad warm. No can do. I ordered a salad with Tuna medium well and it came out hard rubbery and chewy after our server said that they usually serve it seered rare. My wife enjoyed her crepe and said that it was very good although my salad was so so. Nice brunch creperie. Good service. Noise level was high, but no fault of the establishment. The food just wasn’t that good. The sauces were an abortion and vegetables were severely undercooked. Beau Monde is always wonderful. We've been going for years, probably two decades. Every time we find ourselves in Philly, we make time to eat at Beau Monde. Love the ambience and the decor. The crepes are fabulous. You will not be disappointed. Never disappointed!!! Just perfect for Sunday brunch. Brought someone who had never been and she was won over one the first bite! Great food , service and atmosphere! The best restaurant in Philly. Love this place, especially in the winter. I had the french onion soup, he had the soup special which was a pepper soup. 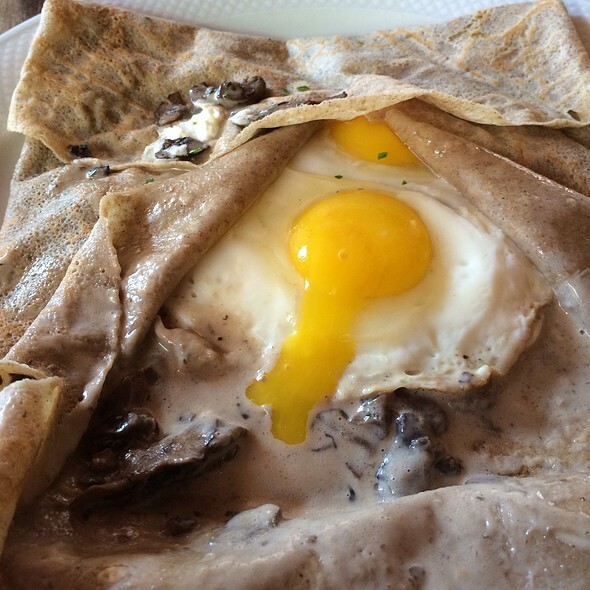 I had the duck crepe and my honey had the coq au vin crepe. All was delicious! They make a nice French 75 too. 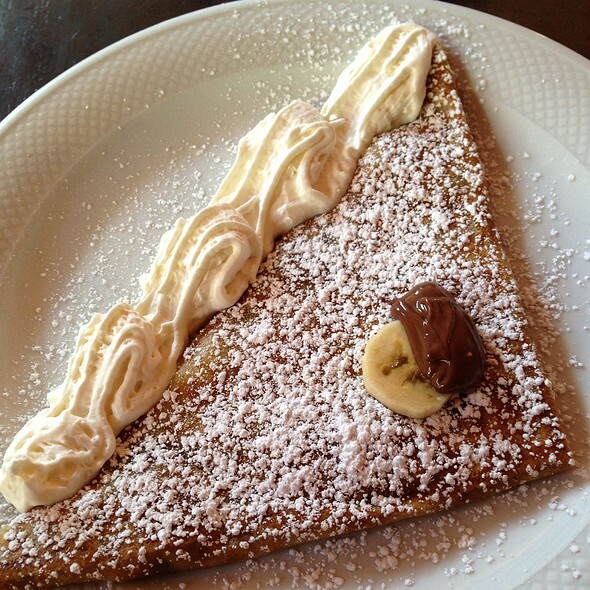 Best crepes in Philly and some great handcrafted cocktails.